Travelling across time-zones can be a tricky affair. You lose sleep, experience fatigue & frequent headaches. Have you heard about jet-lag? There’s no issue if you haven’t, as it’s a fairly recent term. Most travelers try to make the most of their limited time overseas, yet fail to take into account the leap in time zones they make in a matter of hours. It can take your body’s internal clock several days to catch up to that leap, and in the meantime you’re likely to experience the disruption of your sleeping and waking cycle known as jet lag. 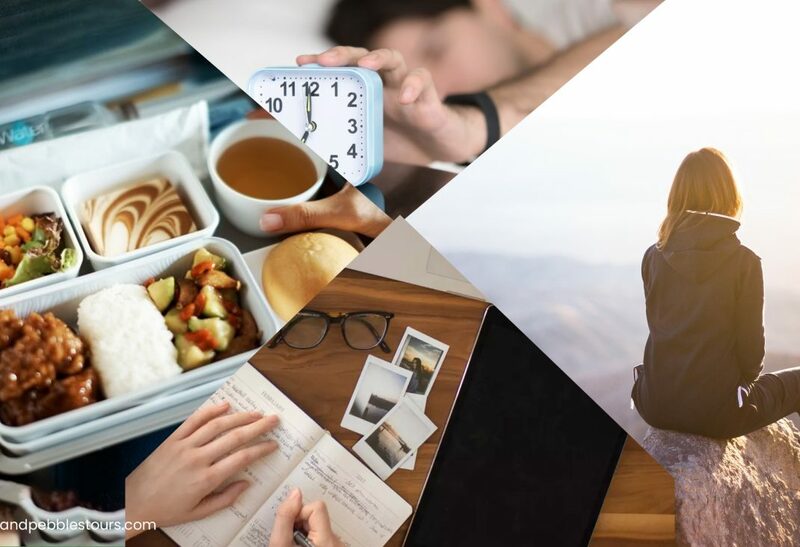 Here, we’re giving you Smart Ways To Avoid Jet Lag After Travelling because there is something gloriously discombobulating about emerging from a long flight into the fog of a new place. You need to calm your body down in order to adjust to the new timezone. See, you can’t entirely prevent feeling jet-lagged, but you can try reducing its effects and you can do it by scheduling smart. If you’re traveling far enough that the trip will take several hours, opt for a departure time that suits your sleep schedule. If you’re able to sleep while you fly, go for a red-eye so you can sleep overnight and make the transition as seamless as possible. Few days before your trip, adjust your schedule to the timezone of your destination. You could even adjust your clocks and strategically use the lights in your house to mimic the conditions of where you’re traveling. Besides sleep, we also tend to eat according to schedule, so adjust that as well according to the time zone of your destination. Stay away from Caffeine & Alcohol. Caffeine and alcohol disrupt sleep patterns and cause dehydration. Both on the flight and for as much of the day before and after your flight, avoiding caffeine and alcohol will help you stay hydrated and avoid sleep disruptions when you do sleep. Wear light, loose layers, because we all know that airplane seating is snug and the temperatures can fluctuate drastically. If you’re too hot or too cold, or if your clothing is restricting, you’ll be uncomfortable. Wearing loose, comfortable clothes is essential and layering helps you remove or add clothing as the temperatures change. 5. The Earthing Process With Some Sunshine! Sunlight helps reset your circadian clock, so your brain can relearn when it’s night and when it’s a day. Keeping your barefoot on the ground helps you adjust to the new land you have arrived on. If you arrived in the morning, spend an hour outside walking. The sunshine and exercise will give you an energy boost.